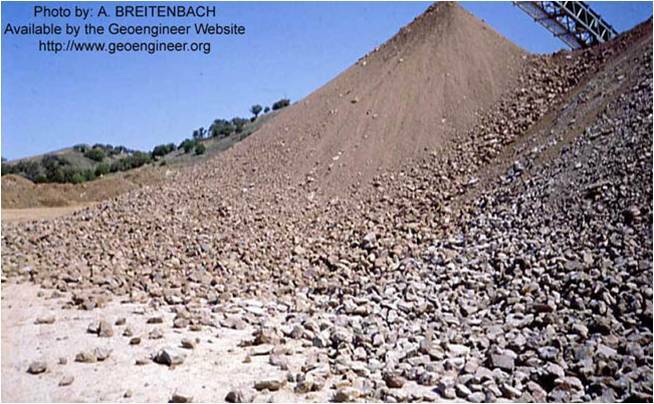 Segregation is especially prevalent in materials with a broad range of aggregate sizes (like base rock) or aggregates that are gap graded (like many perms). Why does segregation matter to you? In hot mix asphalt (HMA), segregation in the aggregates can lead to inconsistent feeds into the hot plant, and as you all know...junk in...junk out. In Caltrans QC/QA jobs, the pay factor is based partially on consistency. Even if you are within the specification band the entire time you are producing mix, if the gradation of the material varies by 5-6% you can end up paying the state a penalty fee instead of making a bonus off of the job. In addition to these potential costs, having poor gradations in your HMA can lead to pavement problems as well. 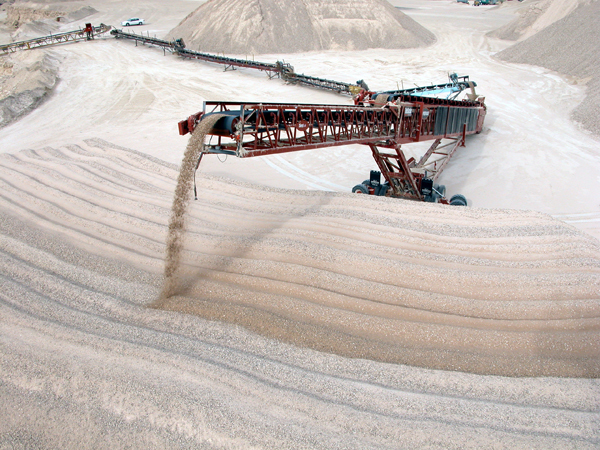 If the gradation is too coarse (you pulled the aggregate only from the outside of the stockpile) your pavement can have poor compaction, raveling, and/or rutting. If the gradations are too fine (you pulled the aggregate only from the inside of the stockpile) your pavement can have flushing and/or bleeding problems. 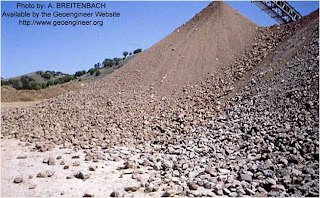 In concrete products, aggregate segregation can also lead to inconsistent feeds into the batch plant. If your gradations are too coarse, the concrete products can be hard to place and the strength can decrease. If the gradations are too fine, the shrinkage increases, water demand goes up, you need more cement, and/or the strength decreases. ﻿If you can't justify a new conveyor you can also combat aggregate segregation using after production methods that I will talk about tomorrow. Have you used another type of equipment that helped you prevent segregation at your plant?